#1 Wacko Memo: Disability & Mental Health Revolution to Stop Global Warming! Make Your Climate Crisis Revolution Visible! A radio personality distorted and verbally attacked the work of Associate Professor Kari Norgaard, a world-acclaimed expert on global warming denial, then kept a transcript of this falsehood-filled show on his website for the past three years, where it still lingers to this day. His show called Kari a “Wacko.” Rather than dwell on his incivility, here’s something fun, free, and positive we did and you can do, too! You may print out a simple poster so that your family’s support for a “Revolution,” as Pope Francis has encouraged, is undeniable. Sound crazy? Perhaps, but that is no coincidence! Prof. Norgaard points out that denial of climate crisis is a collective act by us all. One antidote is to make our resistance visible. Talk about this in your daily conversations! You or a child may color it if you choose. Post this by your door or some other place people will see it. 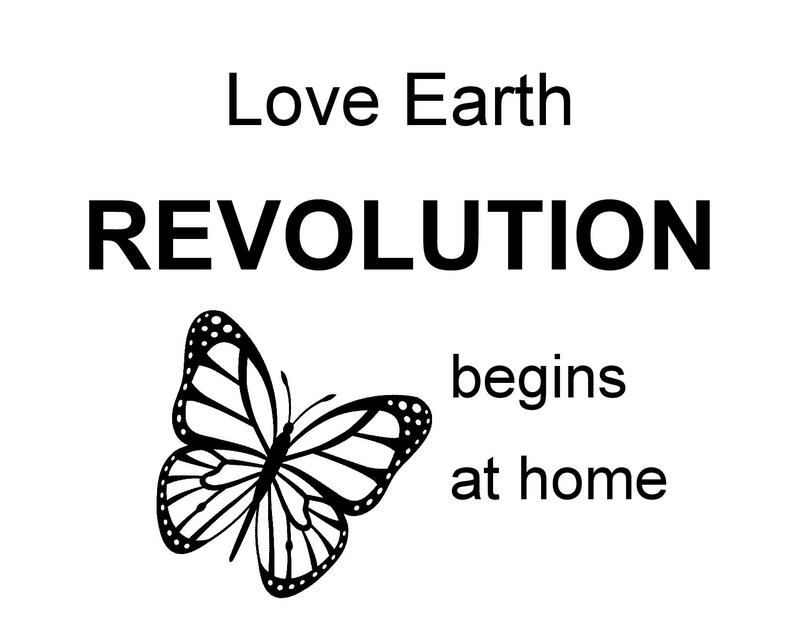 While a poster may not win a revolution, at least a reasonable person would agree your home is in a revolution, now! Our combined ability to think and act are paralyzed. We the public seem suicidal. We are addicted to oil and consumerism. We are blind to alternatives. We are deaf to the cries of the poor and planet. We hallucinate, such as believing that money and technology are more important than our values. Paralyzed suicidal addicted blind deaf hallucinating. Sure sounds like a disability to me. So maybe the social change movement led by people considered disabled have something to offer now? We, one of largest movements on Earth, are not all about curb cuts! By coincidence, I introduced Kari on the 25th anniversary of the signing of the Americans with Disabilities Act. The father of the ADA, my friend the late Justin Dart, Jr., called for what he described as “a revolution of empowerment,” see my brief video here. The Story Behind This Weirdness! On 26 July 2015 I spoke for a few minutes in front of more than 100 people from our local community in Eugene, Oregon, USA. Many of the audience members were from my Unitarian Universalist church where this event took place. I introduced Kari Norgaard, an Associate Professor of Sociology and Environmental Studies from University of Oregon. Three years ago, a famous extremist mistook a news report about this author and devoted part of his radio show to insulting and misinterpreting the research of Dr. Norgaard. 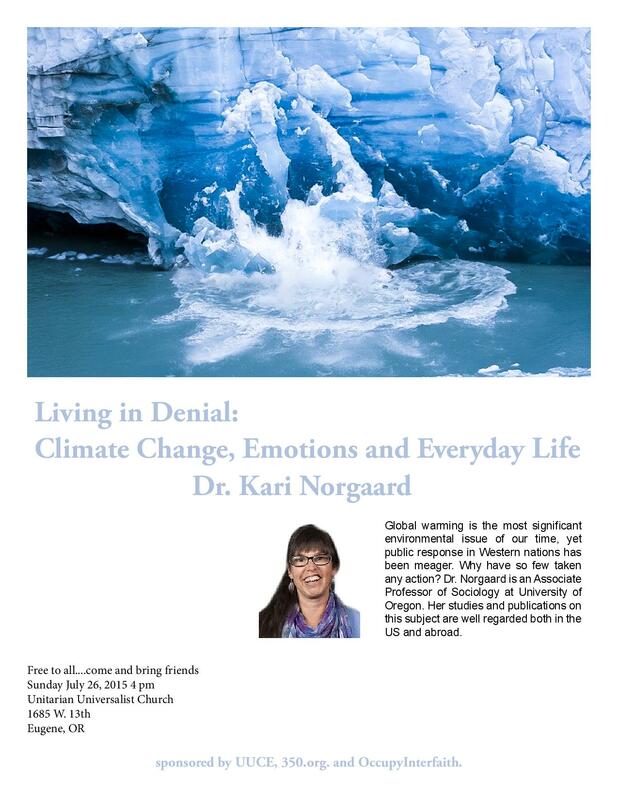 Her book, Living in Denial: Climate Change, Emotions and Everyday Life, looks at why the whole society, using Norway as an example, is not doing enough about the climate crisis. Because I organized this off-campus speaking gig for Kari (thankfully delegating 99% of the actual work to Sue Craig and others at our church), Kari gave me the honor of introducing her. I should have thanked that radio show because as a result our local newspaper ran a big headline about this controversy. That is how I first found out about Kari, read her book, met with her, and spoke out about this radio show distortion. Note that this radio show refers to Dr. Norgaard with these exact words: “Wacko” (twice), “nuts” (five times! ), and “lunacy.” Perhaps on the day of the show, several years ago, we might find an excuse for his factual errors because the show relied on an unprofessional newspaper article that was published in England on March 31, 2012 (UK Daily Mail). The radio show has had three years to investigate, retract mistakes, and apologize publicly. Fallen Old Growth But Still Alive! There are many lies on that show transcript that I could discuss, but I will just focus on one. Kari loves nature and obviously encourages us all to get out-of-doors and enjoy the real world. Yet somehow that radio show distorts Kari’s work and claims she discourages wilderness activity! 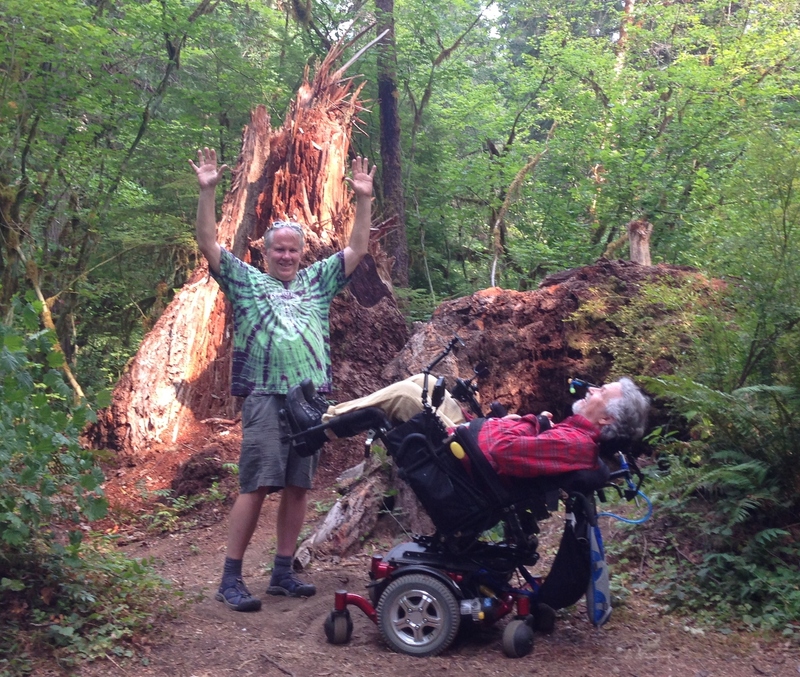 Here is a recent photo of me (on right) at a wheelchair accessible hike among old growth trees at the Delta Campground east of Eugene. My friend Dale Kegley imitates a stump, while I do a weight-shift and imitate a fallen tree. An old growth tree, which can stand for hundreds of years, can sustain more life after it has fallen and as it lays on the forest floor, decaying for about as many years as it stood. This love of life is a great metaphor for humanity as we collectively seem to lie on the ground paralyzed. As the ancient peasant song says, thoughts are free! As Kari’s book plainly shows, her research on climate denial is about society as a whole. Norway is a good choice because this prosperous, well-educated nation of active citizens, one would think, should be a leader in our troubled world. I have had the honor of speaking twice in Norway. I have a bunch of wonderful friends in Oslo. I visited the beautiful Resistance Museum and Viking Ship Museum. Individuals who are skeptical of climate scientists are not the subject of Kari’s research. Quite the opposite, Kari examines why the general public and its institutions seem to be “paralyzed” about this enormous challenge. I would add one thing as an activist who has challenged the psychiatric industry for decades. In this brief interview a Toronto psychiatrist advises us to act even if our actions might seem minor. He was probably referring to things like picking a better lightbulb. Yes, of course I agree with him. However, I would add that we should also choose seemingly-minor acts that contribute to grandiose, enormous, global revolutions, too. Think of a butterfly. Scientists now know that because nature and existence emerge from many feedback loops, that the flap of a butterfly wing may influence when and where a storm hits thousands of miles away. This is literally true and has been backed-up by scientific evidence. In other words, while your actions may lead to a powerful ripple-like result, it may be impossible to exactly predict the outcome. But flap your butterfly wing! Now, now, now! Martin Luther King frequently warned about the “paralysis of analysis” which he saw causing delay. He avoided this paralysis and he performed civil disobedience 69 times! So I have a new phrase for the moral disease that’s apparently holding back our whole society, myself included: normalysis paralysis. Normalysis paralysis is the combination of normality and over-analysis that leads to inaction. Celebrate a Little of Your Craziness, Now! 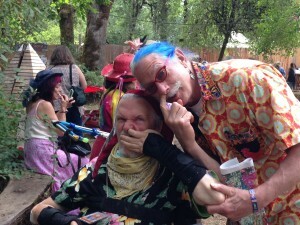 My friend Patch Adams, MD is even more blunt, as he was during last month’s Oregon Country Fair. To paraphrase, Patch, who you may recall was portrayed by Robin Williams in an Academy Award-winning movie, said that the mental health industry, with its centuries of abuse and labeling, has held back our passion and innovation, right when we need them most. Let’s get a bit crazy! Boycott so-called normality. How do we know the revolution has started? How does it feel? I am reminded that in ancient days the Native Americans had very many languages, sometimes changing every few miles, so sign language was the closest to a universal way to communicate. While in the western world, we point to our heads when we say “I think” or “I am,” the Native American sign language for this phrase was to point to their hearts, the middle of their chests. The history of the word “Thank” originates as “Think.” So when I thank you for passing the salt, I am really saying that I am thinking of you for a moment, you are in my consciousness! Debra has named our piece of this “Love Earth Revolution Celebration #LERC,” but whatever you decide to call your piece of this global revolt is fine. a) Even though of course there were major mistakes, the Allies did not stop, there would be future decades to rehash history. For example, the Allies created all traffic to Berlin one way! If a vehicle developed engine problems, I understand they simply towed that vehicle off the road and kept going to Berlin! There was no stopping the Allies! b) Though Dwight “Ike” Eisenhower was the Allied Supreme Commander, Ike did not issue any commands on D-Day itself. Ike spent D-Day in his trailer, smoking cigarettes, reading westerns, and relaxing. Meanwhile, Hitler slept in that morning, leaving orders that no troops move until he says so, but he guessed at the wrong beach! The Allies had quite a few hours before Hitler woke up, changed his mind and finally moved his troops. While the Allies were not perfect, they had prepared enough before D-Day, that they were almost self-organized, and that horizontalish organizing is what we need now. Today, you are Ike! Hey, Richard Nixon sure had many flaws, but he helped create the Environmental Protection Agency. Seriously, guess which president of the USA stood tall, believed scientists and signed important treaties to fix the ozone hole? That would be Ronald Reagan! Some other folks who were often thought of as Republicans include my friend Justin Dart, President Herbert Walker Bush (who signed the Americans with Disabilities Act) and maverick-governor of Oregon, Tom McCall who helped lead the call for the first Bottle Bill and to clean up the then highly-polluted Willamette River (https://en.wikipedia.org/wiki/Tom_McCall). Let us prevent Earth from becoming like Venus, which is now more than 600 degrees because of its global warming! Locally, I look for a way that our community may take up a way to peacefully dialogue with a head of our Summit Bank, because he is the elected leader of our local Eugene Area Chamber of Commerce, but he ignores my emails. 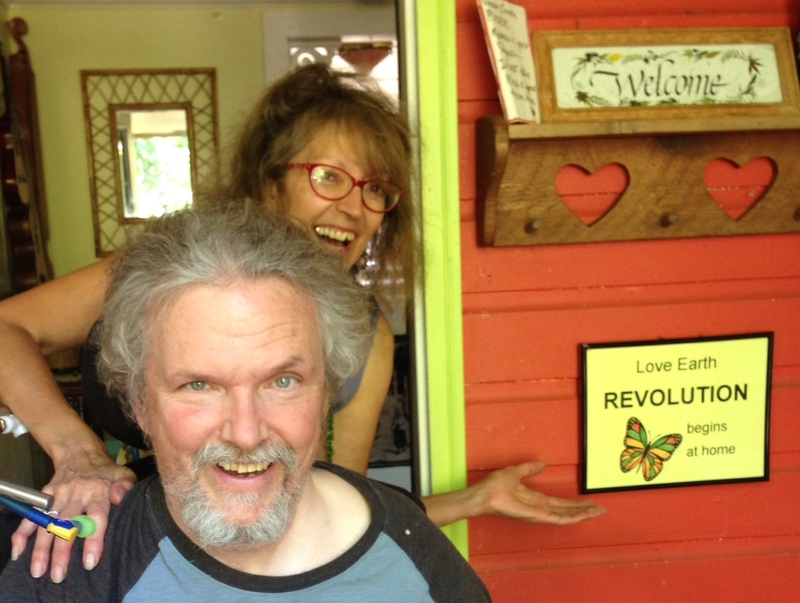 David W. Oaks, #ADA25, 26 July 2015, Unitarian Universalist Church in Eugene, Oregon, USA. 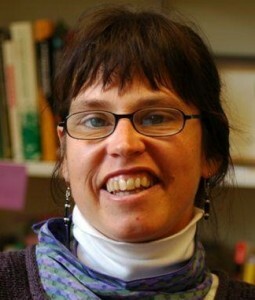 Kari Marie Norgaard is Associate Professor of Sociology and Environmental Studies at University of Oregon where she has been on the faculty since 2011. She holds a PhD in Sociology from the U of O. For 15 years Dr. Norgaard has published and taught in environmental sociology, gender, race, and emotions. She researches climate change denial. She also researches the Karuk Tribe on the Klamath River in California. High profile media outlets have covered her work: Washington Post, National Geographic, National Public Radio and more. Her 2011 book Living in Denial: Climate Change, Emotions and Everyday Life has received international acclaim. She has over a dozen peer reviewed research articles. In the past 18 months she has spoken across the US plus in Iceland, Norway, Sweden. In 2012 I first heard about Kari, because our local newspaper ran a headline that the radio host Rush Limbaugh verbally attacked her work. He encouraged listeners to complain. I immediately obtained her book and found out that Rush Limbaugh was totally wrong. I checked his web site today, and lies about Kari are still being put out. I’m not sure why such a meandering, only tangentially relevant, mostly off-topic article as the above is here… having said that, it is an interesting, well-intended article. But when reading, I was wondering, does MIA want to expand its mission and create a subsection for politically charged articles tying efforts to mitigate global warming to efforts to rethink psychiatry? I would suggest it may not be the best idea to have articles on MIA which heavily cover global warming activism, whatever correlates that fight may have with the effort to rethink or abolish psychiatry. I’d guess some people on here are in favor of rethinking psychiatry but may not have a strong position on global warming or may even be global warming “deniers” to use that loaded term. I myself think the science on global warming (that humans are the primary contributer to rapidly accelerating warming) is almost certainly settled, probably 98-99% certain, but I don’t see all the correlates with global warming activism that Oaks does, nor necessarily think it is appropriate or necessary to tie anti-global warming efforts to efforts to rethink psychiatry. I would prefer to address psychiatry/psychiatric ideas on their own terms. I’m honestly surprised to see this statement on a front page MIA article, and I don’t think it is directly relevant to MIA’s mission to promote this. Sorry to be negative but that is my honest reaction to this article. “Rethinking psychiatry” will be meaningless if the planet is uninhabitable. I think it is perfectly appropriate to make a connection between climate change and psychiatry. Frankly, I think that climate change should be tied to every issue one might discuss because it is an imminent global crisis (just ask the hippies at the pentagon). I am also grateful to have been introduced to Kari Norgaard’s work, which asks why it is that people who do indeed believe in global warming do not take the actions necessary to mitigate it. As an inquiry into human behavior, that seems to fit in well enough with the other articles that get printed here. In addition, psychiatry is a major player in preventing the changes that need to happen to prevent human extinction by climate change. Psychiatry impedes necessary psychological growth, enables denial, and serves to keep people isolated and inactive. So I was glad to read this meandering article. I found the avant-garde presentation a refreshing departure from some of the more powdered-wig discussions that sometimes ensue here. I would like to see more connections being made on MIA between the problem of psychiatry and other important and pressing issues, because they are all interconnected. My point about the article above is that it barely references psychiatry at all and so is hardly even tangentially on topic. Respectfully, I disagree that climate change should be tied to “every issue one might discuss.” While it is a very important problem, it is not the focus of this site, and it is an issue for which there is a diversity of views among those who take it seriously, as you and I do. I am fine if global warming were referenced in an article on MIA – as it is indeed relevant in the ways you mentioned – but for an MIA article to be almost entirely about global warming and to barely mention psychiatric issues is something else. Regarding the diversity of views on global warming, there is a viewpoint which holds that even without immediate action, climate change will be a difficult but manageable challenge, rather than a disaster. The runaway greenhouse scenario (Venus-Earth) that Oaks discusses is highly speculative, and considered unlikely by many scientists apart from James Hansen, even in the worst case scenarios in which all tar sands and shale oil are burned. Perhaps Oaks has been taken in by the doomer perspective; in any case, it doesn’t seem like he’s reviewed the research on the runaway greenhouse very carefully. But although I think fossil fuel depletion is the most important issue facing the world, with climate change a close seoond, I would not suggest that every other issue should be tied to fossil fuel depletion. Fossil fuel depletion is a primary subject for other blogs like the one referenced above, not MIA. I certainly did not mean to suggest that MIA should change its focus! I meant only that global warming has – in my opinion – a place in the larger discussion about psychiatry. I did not mean that the subject should necessarily be touched upon in every article here. You can go on it and sign the petition and hopefully get involved. I think bpd is expressing an opinion, not “silencing” anyone. Let me be clear that I greatly respect Mr. Oaks’ enthusiasm for advocacy around this topic, and the (many) contributions he has made to the movement that MiA is about. I also (passionately!) believe that global warming is an extremely critical issue, and we need a tremendous amount of advocacy to stop climate change. But I think it’s fair to argue that blogging about climate change can be seen as ‘scope creep’ that takes away from the specific issues this site is primarily focused on. There are certainly many other places on the web to discuss and organize on the issue. I think it’s a dangerous precedent when we see differences of opinion as ‘oppression’ or ‘silencing,’ and I’ve seen this before on this site. I don’t agree at all with BPD about climate change, but I think he has a good point about whether or not posting about climate change will dilute the overall message. Why? Because bpdtransformation disagrees with his conclusions? How does the quoted sentence in any way support the scope creep argument? We are in the midst of the 6th great extinction. I has been estimated that 200 species a day blink out–no more; gone forever…each of those endings impacts other life that was necessary for yet other life (forms). We are all connected. Some days, the overwhelming grief affects my every thought and action. Other days I *pretend* that life is going along normally. Some days are better than others. I get the …we are going to need to learn skills on how to cope with the realities that are looming on the horizon. I dunno it seems like it’s getting pointless to argue on this stuff. What is meant by poltical will ? A tax on all countries that goes towards global government ? This is a typical kind of authoritarion left advocacy. Do any of them really care about the environment ? Or just more power for your Rockerfeller’s, Al Gores, Rothchilds etc. If anyone wants to really talk about this stuff fine, but if you just want a rubber stamp you’re probably always going to run into opposition, as you should. David Oaks said I “mainly seeks to silence (his) voice” and said this is a “good example of mental health oppression”? I’m the last person trying to oppress others when it comes to reforming/abolishing psychiatry. I support your other articles on mental health reform and have posted positively on your work before. What I said here was an opinion about this particular article. Despite my disagreement with your idea that a runaway greenhouse is a realistic near-term threat, I agree with most of your article, because accelerating climate change is a grave threat that is not being addressed, one that can still ruin the environment in the absence of a Venusian nightmare scenario. But along with being well-intended and interesting (as noted in my first comment), my point is that in relation to almost all other content on here, the article is off-topic and barely connected to the usual focus of a website about mental health and psychiatry. It is major scope creep. As for the runaway greenhouse, my position is that it is very unlikely in the near future. I’ve researched this too, and we would have to raise atmospheric CO2 parts per million to about 30,000 ppm (from today’s 400 or so), which would necessitate burning about 10 times as much fossil fuels as are contained in all remaining conventional and tar/shale oil deposits. Not very likely, right? I’m going off published papers by scientists including Andrew Watson, Colin Goldblatt, James Kasting, Tyler Robinson, etc. These scientists hold that it’s unlikely that we will initiate a runaway greenhouse over the next several millenia, even if all remaining fossil fuels were burned. So your position on that is less strong than other arguments that could and should be validly made about global warming’s other catastrophic effects. Honestly it is kind of dumb, here in Australia we’re having days 5 degrees below the average etc. While the moronic corrupt president of the AMA (Australia Medical Association) is talking about how global warming is a health issue. I don’t know, kind of over it, but all I know is if I had any kind of say in the matter there’s no way I would just be handing money to a bunch of people that are only interested in setting up some kind of authoritarian nightmare global government. I would be concerned here more with who is going to speak for the truly innocent–lions and tigers and rhinoceros, oh my–denizens of nature threatened with extinction rather than focus on what a pestilence homo sapiens has made of itself. The nature that has been evolving for millions of years could (in some case has) vanish over night. Where is the morality in extinguishing life, especially since this extinction moves closer and closer to our own species all the time? The global nightmare is already upon us, it would be a shame if we never saw the morning light again. When we don’t respect the life we find all around us, you are not going to find us respecting the rights belonging to our own species. I think you misunderstand what global warming is. The fact that you can have very low temperature in any given place at any given time during the year does not negate the fact that the average temperature of the whole Earth has risen (that is in many other places and many other timepoints it’s getting really, really hot). In fact global warming is leading to “climate change” which is basically altered weather patterns that cause unusual event (like super snow in a place where it should not be or at the wrong time, like hurricanes etc.). climate is becoming more extreme and we can see it already: California is a good example, recent heatwaves, hurricanes and so on. Some island nations on the Pacific are already facing rising waters. We can discuss what is the best course of action but denying what is happening in front of our eyes is not a way to go. Wish we could edit our comments here: apparently when I use certain keyboard symbols to post they just don’t show up. What I keep trying to correct is the statement that I “get” the denial…I understand why people do it. I do it too. Bravo, David Oaks! As far as I’m concerned reversing climate change is a much more pressing issue than discussing how little Johnny is feeling today. It effects everybody’s mental frame of mind, quality of life, and future potential in general. First, you’ve got the toxic fumes that led to it, and then you’ve got the not so natural disasters that occur because of it, and the traumatic effect upon people of those disasters. There’s nothing “off issue” about developing the kind of conscience that psychiatry and drug companies lack. I know you see political action as therapeutic, and so do I. One thing this therapeutic political action need not be is a fixation on the spirit-killing mental health system, a fixation in itself that could be said to be “depressive”. Another thing about such action is that it draws the withdrawn person out of his or her shell, and back into participating in the issue of the larger society and community at large. Often what passes for mental health issues is in reality an alienation from nature, and when nature is out of whack so-to-speak, the mad, that is, 100 % of the population, find themselves suffering as a consequence. I also see it as a way of moving beyond the single issues Will Hall wrote about in an MIA post not that long ago. If the mental issue impasse’ is a way of not seeing beyond the end of your own nose, in other words, self-absorption, working to reverse global warming is a way out of that cocoon. We don’t have to engage, in other words, in this crazy person hunt that so much of the world is caught up in if we can do something with a little of our own craziness. This is a way, as far as I see it, for a person to make good use of his or her own craziness, and, yeah, why not? Ohhhh. I know….”mental illness”, right? “Mental disability” if your prefer. Who could forget “that”? A true Health Freedom Movement with all that it implies grown big enough and honest enough would sweep away global warming and many other major abuse’s of the planet like Monsanto for example . Just my opinion . Global warming has already caused tremendous damage to “mental health” (in addition to physical health, property etc.) for thousands of people. Widely covered natural disasters aside (like the hurricanes in the Philippines) – many people link global warming and the drought in Syria, which has if not caused then at the very least exacerbated the conflict and led many people to die or flee. In Europe we’re facing an immigrant crisis. Only this week we had 71 one bodies found in a truck near Vienna because the smugglers overcrowded the car and forgot about ventilation. 3 kids below 10yrs old are among the victims. If that does not affect people’s “mental health” I don’t know what does. On MIA we often discuss alternatives and the main “alternative” to psychiatry is to build a more equitable, tolerant society in which people can have their basic physical and psychological needs met as a way to prevent mental problems in the first place. How can one envision such a society in a world which is at war for resources as the elements are going highwire and destroying infrastructure, crops and human lives? 1. I noted that an individual who objected to my topic “seeks” to silence this point of view here. I never said this individual will succeed because the human spirit will never, ever be silenced. However, it is obviously true that a complaint is more about the appropriateness of me bringing up this issue as a focus. I add that the origin of appropriate is the word proper. I am with Groucho Marx about approaching proper. 2. Stephen Hawking warns us that the Venus effect is a possibility. Note that the person who disagreed with me has moved over to whether this worst case scenario is likely or unlikely. Hey, the undeniable fact that this nightmare is on the table at all is the thing I am bringing up. I have no idea of the percent risk. No one does. That it is on the table at all is the emergency! We are the 100 percent! Thanks for your comment and your point #1. Regarding point #2, Stephen Hawking was talking about the Venus Effect in a documentary he made around 2006-2007. Since then, further research has been done which indicates the likely paramaters I gave before: for the runaway greenhouse to take over, CO2 ppm would need to be increased from 400 ppm to around 30,000 ppm, which would require burning about 10x more fossil fuels than currently remain in all the tar sands, shale oil, and conventional fossil fuel deposits. The current models would have to be drastically, drastically wrong for it to happen even in the worst case scenario – which is possible, but not likely. In a parallel vein, getting hit by an asteroid is possible every time I walk outside, but it’s very unlikely so not worth worrying about. Interestingly, Hawking thought that nuclear weapons are a much bigger threat than the Venus effect. Unpopular a view as it is, I think people overestimate the probability of some of these catastrophes. That doesn’t mean they shouldn’t be taken seriously as possibilities, but a lot of research shows that people worry too much about emotionally-charged, scary things that are unlikely to hurt them (e.g. guns, nuclear power plants, radiation, terrorism) and far too little about more commonplace things that kill far more frequently (car accidents, poor diet, lack of exercise). There is a good book on this called The Science of Fear by Dan Gardner. Global warming is a very real problem, one I wouldn’t put alongside less serious threats like guns or nuke plants. Unfortunately, I believe that humanity’s short term focus and inability to face the facts will mean that global warming becomes much worse before anything is done to curb emissions. No one can predict, but I’d guess that a crisis or series of crisis points will be reached, and at that point serious geoengineering will be tried out. If geoengineering succeeds in preserving some of earth’s habitability, then governments will start to take the problem seriously following the near-death experience. If not, then perhaps humanity will go extinct, but I doubt it because people are very good at surviving. It’s nice that you are trying to build awareness, but I am not optimistic about change happening before global warming become much worse than it is now. Regarding your point #3, I do not understand the idea about severe mental problems being a “womb to tomb, 100% thing” 🙂 Many or even most people are relatively happy and well-functioning a lot of the time (e.g. see Ed Diener’s research on well-being in different nations); it can be easy to lose track of this when one focuses on pathology or illness. I agree that global warming is an issue for 100% of people but do not see such a direct link between “severe mental problems” and global warming. We’ll have to disagree on this. On the point of “runaway global warming” – even if that if off the table (which it isn’t) even a 5 degree rise in global temperatures would be a disaster that can make the most apocalyptic movies kind of dull. We have 6billion people on this planet that we have to clothe and feed and provide water for, not to mention the nice thing in life like education and leisure. Sure, we may survive as a species (which is not a given) but in what shape and on what kind of a planet? And there is no serious scientist out there (save for people who are bought by companies profiting from fossil fuels – I guess we’ve heard this theme before in terms of scientific studies and corporate interests) who say that a catastrophic outcome is unlikely. Take California – they are running out of water as we speak and even if it rains tomorrow some of the aquiferes have already collapsed so that the stores cannot be repleted. Yes, I guess we will have to disagree. For the record, if a state of mind leads humanity to greatly harm our one and only collective habitat, then yes indeed I feel that state has a “severe mental problem.” But we will have to disagree. One other point: Because the comment by Stephen Hawking where he warned that Earth could become like Venus was made about nine years ago, apparently there is a need to hear something more recent. Fact: We cannot predict the exact future. Fact: Climate crisis has gone on for so long that we are entering chaotic feedback-loop situations. Fact: At this point we are not only to be concerned about things like losing some coastal cities and some worse hurricanes; we wisely ought to be concerned about the possibility, impossible to predict exactly, but the possibility of extreme catastrophe for humanity and life on Earth. All this proves my point exactly, that we very much need the global revolution that even Pope Francis is calling for! While Kari Norgaard is in the field of sociology and not psychology, her study of human behavior/thinking appears valid. In fact, it is a big relief to hear from academic professionals who are outside of psychology and who analyze behavior/thinking. So humanity risks destroying our one and only planet, but severe mental problems are not a challenge for 100% of that humanity. Yep, I guess we just will need to disagree here. In the meantime, I am glad that this dialogue helps provide more of a focus on this topic! 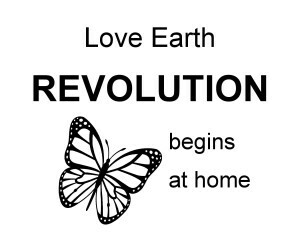 Call me crazy, you certainly would not be the first if you did, but every breath we take needs to be pulling in the direction of this visible, global revolution! If I have just spent my whole adult life working to peacefully overthrow the mental health industry, then I sure hope that this work was relevant to topics such as confronting this environmental issue. Now that we are at risk of something literally billions or even trillions of times bigger, let us be strong enough to act! While the enormity of the risks might help explain the paralysis we see, we are all in this together. Make your climate crisis revolution visible now, now, now, now, now!!!! Thanks for your thoughts. This is an interesting, discussion, however much it may diverge from the usual MIA topics. First of all, you may be a little bit crazy 🙂 But that’s not a bad thing, I am also. Regarding 100% of humanity having severe mental problems linked to global warming…. that is a bit black and white. I’d suggest that 4-5 billion people in poor and low-middle income countries are barely aware of these issues. They are usually preoccupied with survival and basic needs, and are rarely educated enough to know what is happening globally. Of course, they are also not contributing much to global warming. As for the other 2 billion or so of people in more advanced nations, who hold more responsibility for climate change, there is a big mix… many people do try to limit their effect on the environment. Some entire countries, like Germany and other northern European nations, do so. Some people are totally oblivious. And many, many just don’t care, are ignorant, stupid, or choose to do nothing. This is a huge problem. I think you’re right that the probability of the Venus effect is academic, since much of Earth could be rendered uninhabitable long before that point is reached. On the other hand, one could argue that within the next few million years, much of Earth may be rendered uninhabitable by a new ice age, if global warming is stopped and we emerge from the current interglacial period. It’s disturbing to look at what has happened climate-wise over the last few million years and imagine a return of another ice age, because crops would not be growable on a large scale then either, and billions would perish. So many things that could go wrong! Thanks for this dialogue. I encourage others to add their voices! An existential risk is one that threatens the existence of our entire species. The Cambridge Centre for the Study of Existential Risk (CSER) — a joint initiative between a philosopher, a scientist, and a software entrepreneur — was founded on the conviction that these risks require a great deal more scientific investigation than they presently receive. CSER is a multidisciplinary research centre dedicated to the study and mitigation of risks that could lead to human extinction. The Future of Humanity Institute is a leading research centre looking at big-picture questions for human civilization. The last few centuries have seen tremendous change, and this century might transform the human condition in even more fundamental ways. Using the tools of mathematics, philosophy, and science, we explore the risks and opportunities that will arise from technological change, weigh ethical dilemmas, and evaluate global priorities. Our goal is to clarify the choices that will shape humanity’s long-term future. After dinos were wiped out mainly, there were these little rodent sized creatures that burrowed a bit in Earth, so they were able to survive and thrive. Our ancestor! Well, an alien observer from far away might think that Earth as an organism got a lot smarter in a few million years, because if a big object headed toward Earth, as long as it did not surprise us directly blocked by the sun, Earth would now have a chance to send up a rocket and deflect the sucker. Hell, that sure would excuse humanity doing a lot of bad stuff during our history, if we guarded and stopped some object from the sky wiping out future life! Well, today, a lot of very, very smart/wise folks are warning that wiping out the future of humanity and maybe life itself is on the table. Sure, feel free to argue about the percent of risk and the exact sharpness of the blade. But we could our butterfly wings right now and maybe end up with a horrible disaster instead of a complete obliteration in the near future. So please make your revolution visible, now. What is mistakenly called normal is not given to the planet by some God. What is mistakenly called normal is co-created each day by us all. So if we are to have a new normal, let us choose it! It’s from some of the people behind the links you posted. You’d probably find this book fascinating, and disturbing. I find the issue of whether or not this topic belongs on MIA kind of interesting. One of the key components of “madness” is making associations that others feel aren’t appropriate. But it’s complex, because other kinds of madness come from failing to make associations that should be made. That’s why it’s often debatable what is truly mad – should we stay “appropriate” and keep a narrower focus, or are there important reasons to break out of the silos and bring some important ideas together? There is no fixed answer to such questions – it all depends on the exact circumstances. As disaster seems closer, it does seem more “mad” to just go about business as usual, expecting others and other forums to address the crisis. “We just arrange chairs, we are responsible for adequate seating, others deal with problems like the threat of the ship sinking……..” So I think it makes sense in these circumstances to sometimes look at the connection between mental health issues and our coping, or not, with what threatens humanity as a whole. Thanks to everyone who read this blog entry about mental health activism, revolution and climate justice. This has led to a bunch of great discussions, including a comment today! Yes, of course I very much agree that there are special interests who have a bizarre amount of influence compared to their numbers. However, what Kari is talking about, I think, is something far bigger and more general. Her book about Norway discusses the fact that this fairly-progressive country gets one heck of a lot of money from their extraction of carbon fuels. Rather than giving the lions share to a very few people as in some poorer countries, my understanding is that Norway spreads around this good financial fortune among its citizens. As with anything, no doubt there are imperfections, but from what I have read the citizens of Norway are fairly prosperous and a bunch of their wealth comes from selling fuel. This more general corruption plays a role in the silence about climate crisis, compared to the outcry and activism that ought to happen right now. In other words, while we might blame Rush here in the USA, this book is really not about him and folks like him. The book and work that Kari does is much more about everyone, me included. I have heard a prominent leader in climate justice who is also an author say that we are all in denial. That sounds much closer to Kari’s analysis, though of course the elite undue influence is an enormous problem. 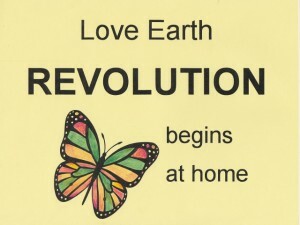 I believe that if we the people really flexed our collective muscles, we would see that we are far more powerful than the Rush’s of the world, and we would instead focus on the emergency task right now of creating a revolution of empowerment, and addressing the climate crisis as if life itself might be at stake.